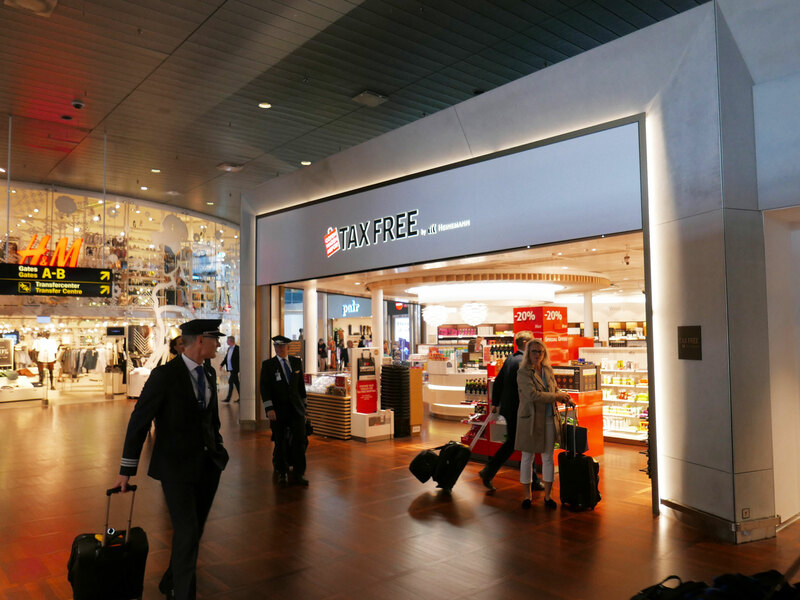 As lead consultant DesignGroup Architects were in charge of upgrading T3 Square, an airside shopping area in Copenhagen Airport. 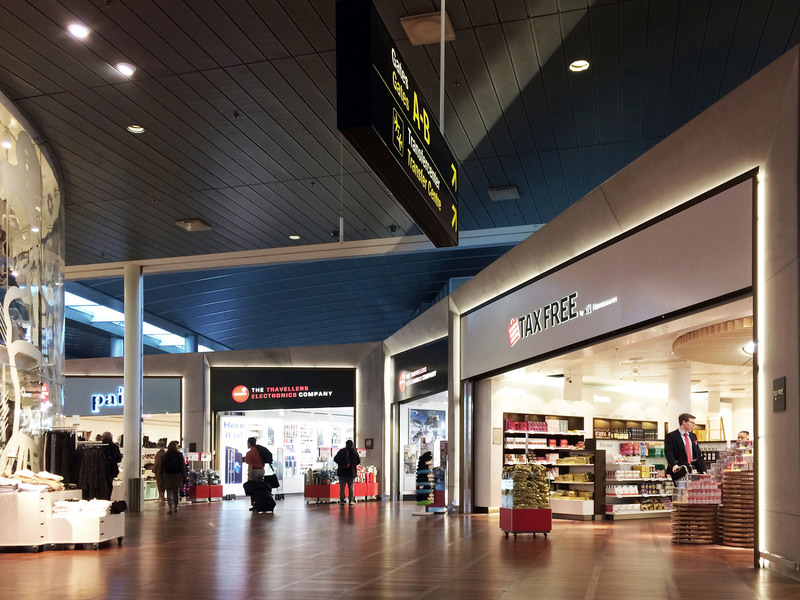 The assignment included new shopfronts and framing of an F&B unit to clearly define passenger flow and integrate seating. 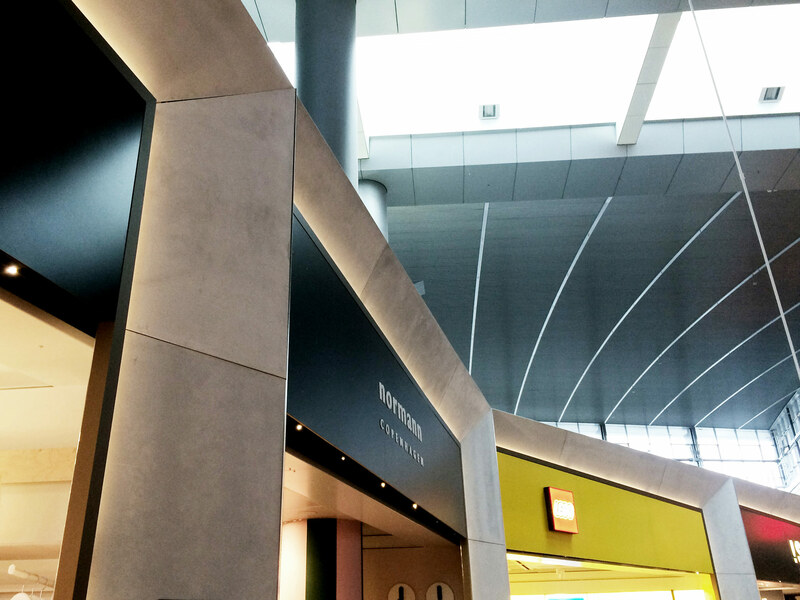 The main purpose was to inject a new and contemporary identity and to transform the area into a characteristic passenger destination, and a natural part of the airport’s airside shopping and dining area. The aim was to apply a ‘New Nordic look and feel’ by using concrete and wood as the primary materials. Facades of fibre-reinforced concrete panels, set in angles towards the shops, frame each individual shop and create a coherent and uniform expression for the shop fronts. The facades have details in steel and anodized aluminum and integrated lighting to create a corona effect on the concrete frames. Shop ceiling heights were increased by 1,5 meters and with integrated signage the shop visibility was significantly improved. 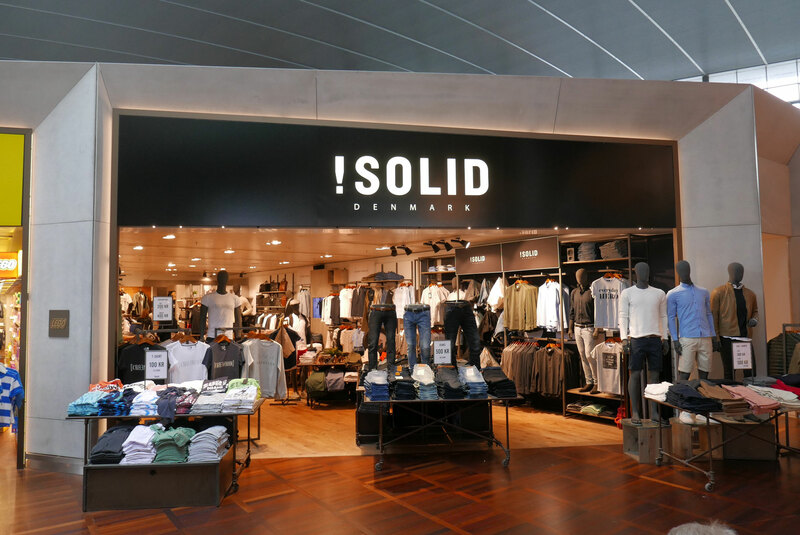 Parallel with the execution of the T3 Square, DesignGroup Architects developed a design manual for all terminals with guidelines for homogenous signage for the shops, which also included a scope for individual brand expression. 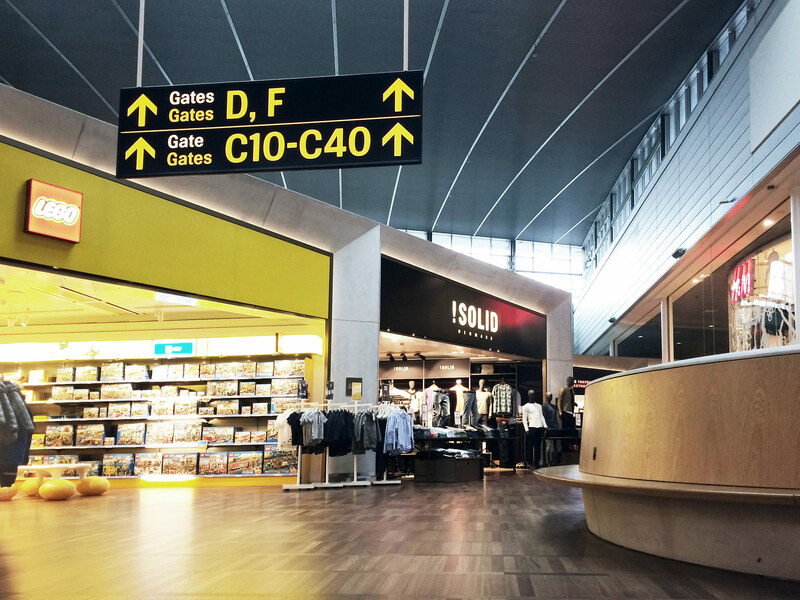 The design concept was developed in a close dialogue with CPH stakeholders.